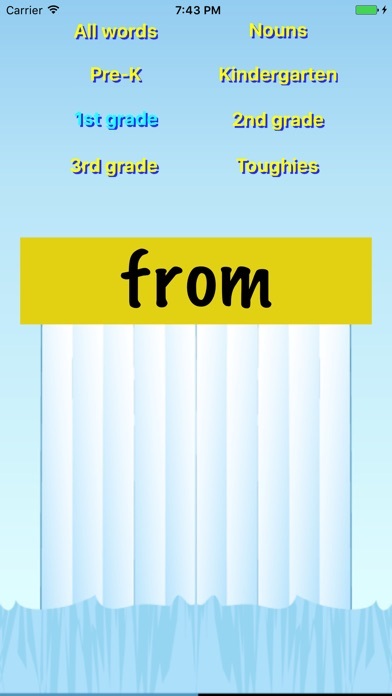 Practice your sight words with the standard K-3 selections plus nouns and toughies! Words will begin by shuffling quickly, slow down, and stop. A simple tap brings up the next word. Now FREE with this purchase! Be sure to get the rest of the Alftenix Arts Mega Variety Pack. All 10 apps for the price of one! Balltanic - BareFoot Soccer - Disco Zombie - Penguin Fiesta - PuzzCal - PuzzClock - SightWords Flash - SKWHEEL - SwatCall - TetraChord Matrix.